This is a view of the beach at the mouth of Butterfly Valley. The valley is an approximately 2.5 mile narrow canyon accessible only through the beach. About 100 butterfly species native to the valley give it its name. 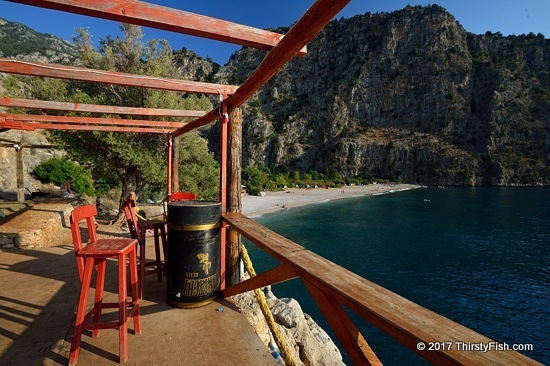 Although only temporary structures are allowed in the valley, this cafe is built on the slopes overlooking the beach, just outside of the valley.